The Fijian come from Fiji, a small island country in the Pacific. Fiji is a group of more than 300 volcanic islands in the South Pacific about 1100 miles north of New Zealand. Only about one third of the islands are inhabited. 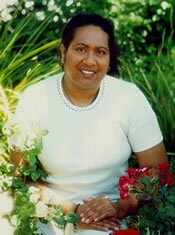 Fijian in the United States include all foreign born Fijians. A large percentage (approximately 40%) of Fijians in North America are of South Indian descent. They (approximately 60%) also include an indigenous people of Melanesian extraction, with some Polynesian admixture. In the United States, California is home to 75% of all Fijians. Their predominant language is Fijian with the South Asian Fijian also able to speak Fiji-Hindi. Fijian is a Austro-Polynesian language. Fiji-Hindi mixes the South Asian Awadhi that was influenced by Bhojpuri and other Bihari languages, plus borrowing a large number of words from the non-Indic Fijian and English. To preserve and maintain their unique Fijian identity, they have formed several associations: including the Fiji American National Association in Hayward, California, and the Fiji American Welfare Association in Seattle, Washington. They adhere either to Hinduism, Islam, or Christianity. Among the Christians, the majority are Methodists, with smaller percentages being Roman Catholics, Assemblies of God or the Seventh-day Adventists. Pray Christians will intentionally engage Fijians, becoming their friends, ministering to their felt needs, and sharing the message of Christ. Pray that evangelical Fijians will daily draw close to Jesus and boldly share their faith.